Everybody loves to look fresh, young and defy the signs of aging. Absolutely it is a fair aspiration and in fact you have come to the right destination to realize your wish – Karishma Laser & Cosmetic Clinic. We provide the best line of defense to tackle aging through the world renowned BOTOX and Filler treatments.BOTOX and Filler treatments. The expert hands of cosmetic surgeons Dr. Suresh Sanghvi at Karishma ensure the complete eradication of forehead, frown, bunny lines, and crowfeet through BOTOX surgery and enhancement of face volume through Fillers. 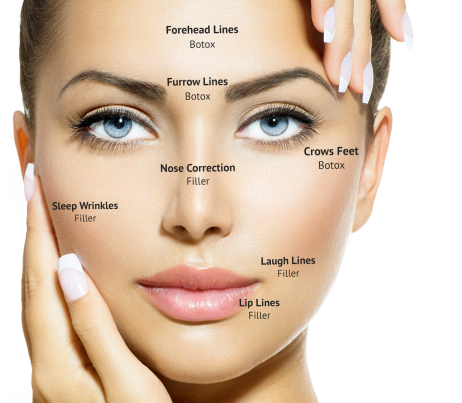 The non-invasive treatment methodologies such as BOTOX and dermal fillers provide complete relaxation to the fatigued muscles and remove the lines to reveal the natural beauty of your face. With treatment duration less than one hour and the visible results in 4 days, Surgeons at Karishma perform the magic in your face that lasts long for four to six months. 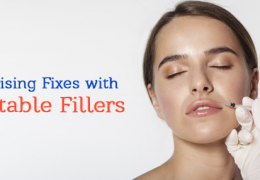 The significance of BOTOX filler treatments is that they reveal the aesthetically proportionate beauty that had been veiled by aging and other factors such as stress. These treatments provide the safest option to regain the natural look you had been yearning. Once again, welcome to Karishma Laser & Cosmetic Clinic– for reclaiming your aesthetic gorgeousness through BOTOX and filler treatments. Let us smile without the fear of wrinkles. My main concern before my visit was that it wouldn't work or I'd have weird side effects from the Botox. But it went great. I felt reassured and informed. I was surprised how easy it was and how quick. Certainly one of the best clinics in Pune. I went to see Dr. Sanghvi for Botox and Fillers and I can say that hands down it was the best experience I have ever had receiving treatment! His office is beautiful and easy to find, his staff is so warm and welcoming, and Dr. Sangvi made me feel completely comfortable with absolutely no pain! I love the new look that Botox has given me... I look rested and this has dramatically improved my self-esteem and how I feel about myself. I would like to thank Dr. Sanghvi for this treatment. I am an IT professional working in Pune. I live a very stressful life.My age is just 35. However, my face looks quite stressful.I had some wrinkles coming up and forehead lines on my face. One of my friend suggested me Botox and Fillers for my face. Initially, I was apprehensive about getting such a treatment done. However, I just gave a visit to the clinic and Dr. Sanghvi explained to me the entire procedure in a very good way. I then took the Botox treatment and I am very much satisfied with the way my face looks now. I am certainly impressed with the professionalism shown by Botox and Fillers Clinic. I would like to get any other treatment in the future from this clinic. Certainly one of the top-notch clinics one can find in Pune city. Disclaimer – Results may vary from person to person.